Yes! No more bulky salad spinners, paper or terry towels! 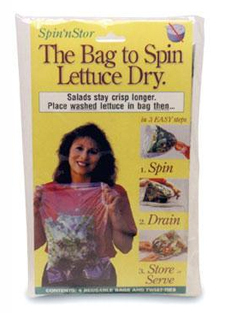 These Spin n store bags are compact, reusable bags that spin freshly washed salad, collect water in the attached reservoir (which can easily be drained), store the salad and then can be reused over and over again. Store bags conveniently in a kitchen drawer. Perfect for campers, RV’s, boats and apartment dwellers. Have any of you tried these bags? If they’re worthwhile, I may actually get rid of the large salad spinner I have that takes up an inordinate amount of space in my kitchen cabinets. One of the first things we did when we moved into our new home was paint. The old color scheme was more appropriate for a fast food restaurant than a living space. Paint cans always seem to be left behind by previous owners and they tend to sit in a garage or basement for an eternity. So, when the previous owner asked if we would like her left over paint we told her, “no thanks,” and asked her to properly dispose of it. What is one to do to with all the extra paint that is inevitably left over from one’s painting project? You can follow a few tips that we’ve listed in the past or check out Lowes’ tips for storage and disposal. 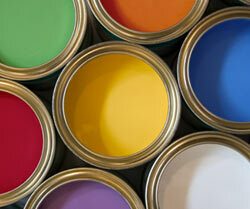 The key to paint storage is to minimize the amount of air in the container. So plastic water bottles of all different sizes are perfect for keeping leftover paint in good condition. Simply match the size of the bottle with the amount of leftover paint that you have. Ron also suggests putting a couple of marbles in the bottles to make it easier to stir the paint (similar to a can of spray paint). I like the water bottle suggestion for getting rid of your mostly empty paint cans. It saves space and it will also save your paint. I’m not much of a watch fan. I stopped wearing them when I started carrying around my cell phone, like a good portion of the population. But what if you still have a watch, even though you don’t wear it? What can you do to keep your watch wound? Enter the Wolf Designs Watch Winder. Feel free to skip the winding of your watch with this amazing product that doubles as a display case! Now, when you are not wearing your watch, you can let everyone know you own a watch by displaying it and winding it at the same time! Simply set the machine to turn the winding mechanism forward or backward based on the direction of your watch’s wind. 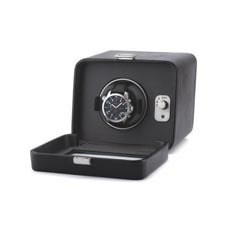 This single watch winder/rotator module 1.5 in black leather is crafted by Wolf Designs. Their name is synonymous with quality and you can be assured that your watches will be kept wound in style! Style can not be sacrificed when it comes to keeping a watch wound. Think about that when shopping for your next watch winder! Thanks to reader Marie for bringing this unitasker to our attention. Do you have an infant or toddler and you’re traveling to a destination that isn’t equipped with a high chair? 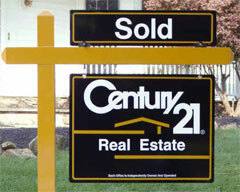 To get our home into order we have decided to have a yard sale. Is your closet busting at its seams? Have you been looking for ways to get a little more functionality out of your wardrobe? Are you searching for a good magazine to read while on vacation? 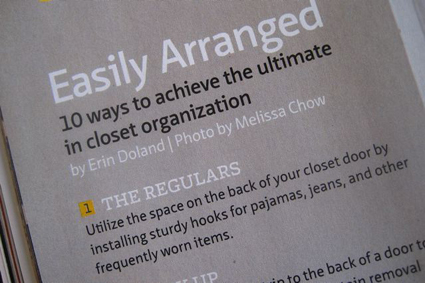 As the title suggests, the article has 10 ideas for how to curb clutter and maintain order in your closet. Also, my picture and a short autobiography appear on page 86 of the magazine. I had Comic-Con on my mind when I wrote my autobiography, so it’s a little on the wacky side. The superpower I mention having, by the way, is completely true. 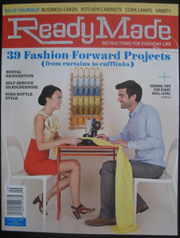 If you don’t already have a subscription, you can pick up Ready Made at your local bookstore or newsstand. I’m interested in hearing what you think of the suggestions! I’m currently reading the book Control through Communication: The Rise of System in American Management by JoAnne Yates. The book is dense, dry, and would be unfathomably boring to 99.9 percent of the world’s population. Just looking at its cover makes my husband yawn. 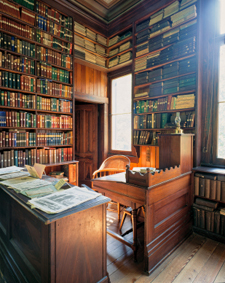 According to Yates, the Wooten Desk was patented in 1874 and was an “elaborate cabinet” with “locking, swing-out cases containing pigeonholes and drawers of various sizes and shapes.” When correspondence would come into a business, the owner of the desk would keep the letter in its envelope and stuff it into one of the pigeonholes. Letters were usually arranged by oldest to newest, and each letter had to be found, reopened, unfolded, refolded, and put back into its hole if it needed to be referenced. Pigeonholes were usually assigned by individuals, and were limited to the exact size of the cubby. When letters were retired, they were often tied together with a ribbon and tossed into a box for archival storage. The whole system was a massive failure because a business owner usually had more need for pigeonholes than any desk could provide, wasted endless amount of time searching for correspondence because letters had to be reopened to be referenced, and there was no way to introduce any new information into the system because the pigeonholes were carved wood and couldn’t be rearranged. 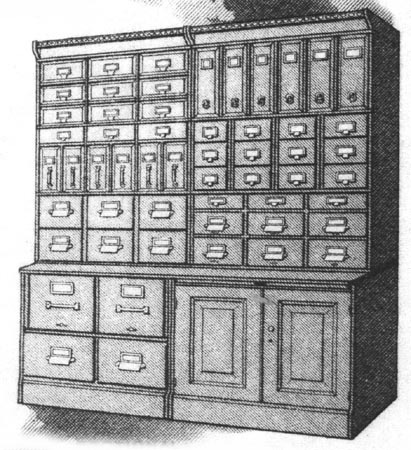 Thankfully, the vertical filing system rose to popularity and became the standard filing technique by 1911. There have been many systems of vertical filing since that date, but the general concept of vertically arranged papers has remained the most efficient method of physical paper storage since its invention in 1893. Shiny Object Syndrome. SOS! It has a nice ring to it, and more and more of us are falling into its grip. What is it, exactly? Well, you know how we’re surrounded by the latest and greatest sizzling things grabbing our attention? That can lead us to buy, explore, or go off on a tangent chasing all those new and exciting things flashing across the screen. We get seduced by the flavor of the month–that must-have tool, gadget, class, product–you name it! And we get derailed from our higher priority work tasks. Jacob started a new position managing the marketing department of a high tech company. Excited about what was possible for the company, Jacob latched onto one product piece of software to assist clients with day-to-day efficiency. Though several products of its kind already existed in the marketplace, Jacob envisioned creating a web-based tool that combined the bells and whistles of every hot piece of software he could think of. Deadline after deadline passed. The budget inflated. Countless work hours mounted from designers, developers and engineers. The executive sponsor finally called STOP! He cancelled the project all together. Within a month, Jacob the marketing manager submitted his resignation. Because most of his focus had gone toward the software development, he did not meet his marketing and sales objectives. And this meant his position at the company was vulnerable. He opted to bow out before they asked him to leave. Although Jacob talked a great story and stirred possibility in peopleís minds, in the end he didn’t deliver. Like Jacob, when you make things more complex than they need to be [and you’re in deep with SOS], you experience over-extended schedules, stress and inflated budgets. Not to mention disgruntled workers and all-around fatigue. Some ideas are so outlandish, in fact, that they never get off the ground. You become overwhelmed by your own vision. In most cases you can zip through these questions in a minute or two. 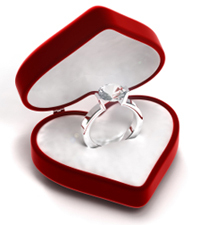 If you get a wave of impulsiveness, with thoughts firing in a have-to-do-or-buy-this-now way, how about waiting just one day? Sleep on it and then decide if the potential shiny object in front of you will be the next best direction for you, your department or company. Delayed gratification does have it’s advantages! For years I have looked the other way and ignored it, until recently when the bag’s contents spilled onto our bathroom floor. 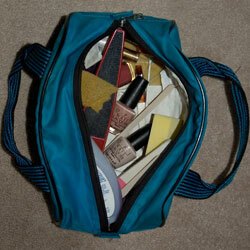 The accident provided a perfect opportunity to talk to her about a new upgrade for her manicuring storage. She is interested in cleaning it out and finding a better solution, but we are at a loss to find a decent replacement. Anyone out there with a recommendation? We’re eager to read your suggestions. If you’re someone who regularly reads comments to our posts, you’ll notice that occasionally comments will disappear. More specifically, you’ll notice that nasty grams disappear. When I use the phrase “nasty gram” I’m not referring to people who disagree with content on our site–educated dialogue that takes issue with ideas is definitely welcome. My use of the phrase “nasty gram” is to refer to a comment that does nothing but spread nastiness and hate. Nasty grams are pure clutter, so we clean them off the server the same way we throw away junk mail in our homes. If someone were to walk into your office spewing hate, security guards would come and remove that person from the premises. The same concept applies to Unclutterer, where we have security guards (interns and sometimes me) remove nasty grams from the server. Thankfully, over the course of the past six months, we’ve only had to remove about 40 nasty grams from the site. We’re pretty convinced, too, that the majority of nasty grams aren’t written by readers of our site but by trolls who get their jollies off of leaving hate mail around the internet. Because, seriously, who else has time to write nasty comments? I barely have time to keep up with reading and commenting on blogs I enjoy. I can’t imagine how I would find the time to read blogs I think are crap AND leave messages on them. Oh, and in addition to removing nasty grams, we’ll remove comments that notify us about broken links when we fix the links. We remove the notice so that it doesn’t confuse people once the link is working. I think this is common practice among most blogging communities. Speaking of other blogs, if you have one, let me recommend that you also follow an uncluttered comments policy. Delete the nasty grams off your website without a second thought. You’re not fond of having clutter in your home, so feel welcome to get rid of it on your site! Golf is a leisure activity for most people, yet some golfers I’ve played with end a round more stressed than they began it. And, no wonder, they’ve just spent four hours lugging 50 pounds worth of equipment around a couple miles of grassy hills. How can you expect to be on top of your game if you’re tired and sore by the time you make the turn to the back nine? If you’re a pro, you hire a caddy. But what about the rest of us? Should we be expected to lose out on the exercise aspect of the sport by driving around in silly little cars with our enormous overflowing equipment bags strapped to our backs? The standard golf club set is based on the idea that each golfer should have one consistent swing, and vary the club to achieve the desired result. If you spend three days a week swinging a golf club, this may be the case for you, but most people have a slightly different swing for each club. I’ve been swinging a golf club since I was four years old, placed in tournaments, and played on the team in high school. I still consider myself a decent golfer even though I play only for fun now, and I’ve NEVER had a consistent swing. 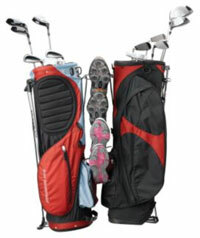 I regularly became frustrated with the inconsistency and the hassle of dealing with a big golf bag full of clubs. So, two years ago, I ditched most of them. That’s right, I now have a lightweight bag with only a driver, 23 degree hybrid, 5, 7, 9, PW and putter. And, my game has not suffered. In fact, now that my bag is lighter, and I don’t have to worry about deciding whether my six iron or seven iron is the right club for a shot, I’m having much more fun. By limiting the number of clubs I carry, I’m able to better master each one. There’s an old golf joke about a golfer in a thunderstorm holding aloft a two iron to protect him from lightning. “Not even God can hit a 2 iron,” he explains. It’s funny, because for most people, it’s true. Why are you still carrying a two iron in your bag? Get rid of those clubs you rarely use, leave the cart and your frustrations at the clubhouse, and love the game again!